The dodgy lyrics of the man's later work may make you forget just how good his songs were at the height of his popularity. 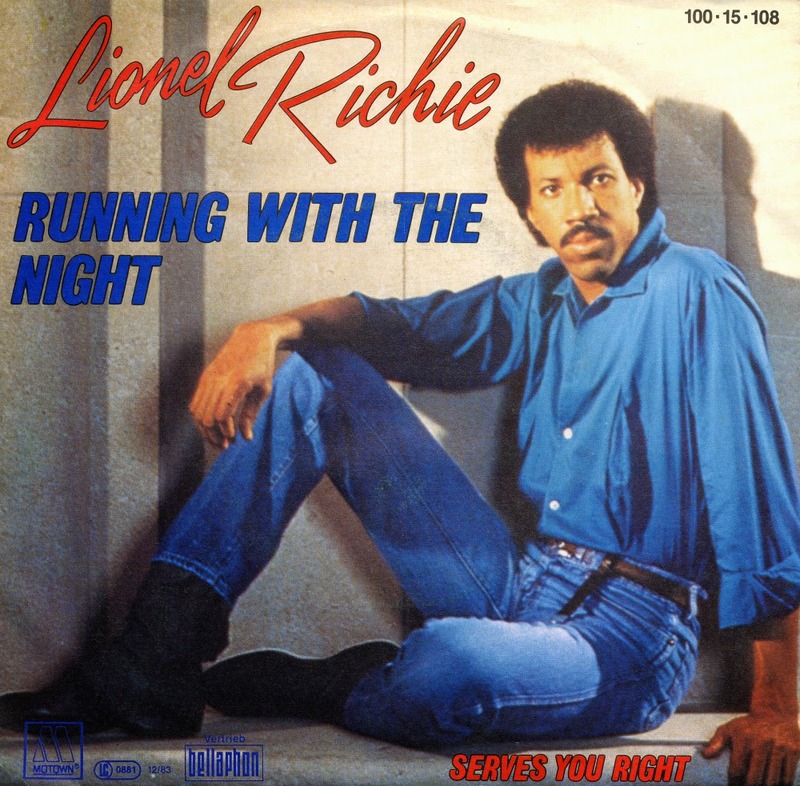 A song like 'Dancing on the ceiling' can't hold a candle to a great pop track like this one, 'Running with the night'. It was the second single from his multi-platinum album 'Can't slow down'. The electric guitar solo was played by Steve Lukather, best known as a member of the rock band Toto. Lukather sat down in the studio and the engineer played the basic tracks of the song, for him to hear for the first time, so he could plan his part. As the music played, he jammed along on his instrument. At the conclusion of tune, he said to the engineer, "okay, I'm ready for a take." The producer replied, "That was a take." 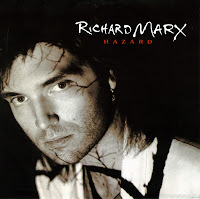 Singer Richard Marx added backing vocals on the track as a session singer; he had also lent his vocals to Richie's 'All Night Long (All Night)' and 'You Are'. 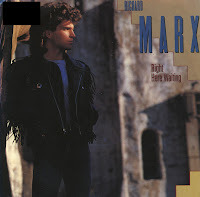 The soppy ballad 'Right here waiting' was the second single from Richard Marx's 1989 album 'Repeat offender'. It was an understated ballad while many bands were releasing so-called 'power ballads'. It featured none of the heavy drums and synths popular at the time, with Marx's vocal accompanied only by guitar and keyboards. The single reached number 2 in the UK singles chart and number 3 in the Dutch Top 40. It was a number 1 hit in Australia, Ireland, New Zealand and the USA. 'Hazard' tells the story of a relationship between Marx's character (usually considered the protagonist) and a woman named Mary. Mary is presumably murdered and Marx, shunned by many in the small town Hazard in Nebraska since his childhood, is immediately considered the main suspect. Marx, however, maintains his innocence throughout the song, and the question of such is left open to the listener's interpretation. I got to know the song because of the music video being aired on television regularly in early 1992. The single peaked at number 3 in the UK singles chart, although it did not chart in the Netherlands.